" Tailoring dual reversal modes by helicity control in ferromagnetic nanotubes." Phys. Rev. Mater. 3, 024403 (2019). .
" Change in the magnetic configurations of tubular nanostructures by tuning dipolar interactions." Scientific Reports 8, 10275 (2018). .
" Probing core and shell contributions to exchange bias in Co/Co3O4 nanoparticles of controlled size ." Phys. Rev. B 94, 184410 (2016). .
"Exchange Bias Effects in Iron Oxide Based Nanoparticle Systems." Nanomaterials (Topic Review) 6, 221 (2016). .
"Quantification of dipolar interactions in Fe3-xO4 nanoparticles." J. Phys. Chem. C 119, 24142 (2015). .
"Spin-glass-like freezing of inner and outer surface layers in hollow Fe2O3 nanoparticles ." Scientific Reports 5, 15054 (2015). .
"Equilibrium and dynamic behaviour of (weakly) interacting assemblies of magnetic nanoparticles." F. Vernay, Z. Sabsabi, O. Iglesias, and H. Kachkachi. Journal of Physics: Conference Series 521, 012010 (2014). .
"Exchange Bias Effect in Au-Fe3O4 Nanocomposites." Nanotechnology 25, 055702 (2014). .
"Interplay between surface anisotropy and dipolar interactions in an assembly of nanomagnets." Z. Sabsabi, F. Vernay, O. Iglesias, and H. Kachkachi. Phys. Rev. B 88, 104424 (2013). .
"Time dependent phenomena in nanoparticle assemblies." 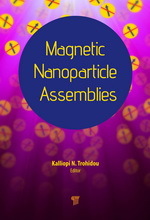 Book chapter in Magnetic Nanoparticle Assemblies, Pan Stanford Publishing, Ed. K. Trohidou (2014). .
"Learning from Nature to Improve the Heat Generation of Iron-Oxide Nanoparticles for Magnetic Hyperthermia Applications." Scientific Reports 3, 1652 (2013). .
"Pressure effects in hollow and solid iron oxide nanoparticles." N. J. O. Silva, S. Saisho, M. Mito, A. Millán, F. Palacio, A. Cabot, Òscar Iglesias, A. Labarta. "Glassy magnetic phase driven by short-range charge and magnetic ordering in nanocrystalline La1/3Sr2/3FeO3-d: Magnetization, Mössbauer, and polarized neutron studies." Sk. Sabyasachi, M. Patra, S. Majumdar, S. Giri, S. Das, V. S. Amaral, O. Iglesias, W. Borghols, and T. Chatterji. Phys. Rev. B 86, 104416 (2012). .
" Morphology influence on nanoscale magnetism of Co nanoparticles: Experimental and theoretical aspects of exchange bias"
K. Simeonidis, C. Martinez-Boubeta, Òscar Iglesias, A. Cabot, M. Angelakeris, S. Mourdikoudis, I. Tsiaoussis, A. Delimitis, C. Dendrinou-Samara, O. Kalogirou. Phys. Rev. B 84, 144430 (2011). .
" Shifted loops and coercivity from field imprinted high energy barriers in ferritin and ferrihydrite nanoparticles"
Nuno J. O. Silva, V. S. Amaral, A. Urtizberea, R. Bustamante, A. Millán, F. Palacio, E. Kampert, U. Zeitler, S. de Brion, Òscar Iglesias and A. Labarta. Phys. Rev. B, 84, 104427 (2011) .
" Critical behavior of ferromagnetic pure and random diluted nanoparticles with competing interactions: variational and Monte Carlo approaches"
E. A. Velásquez, J. Mazo-Zuluaga, Johans Restrepo, Òscar Iglesias. Phys. Rev. B 83, 184432 (2011) .
" Magnetic nanoparticles with bulk-like properties"
Xavier Batlle, N. Pérez, P. Guardia, O. Iglesias, A. Labarta, F. Bartolomé, L.M. García, J. Bartolomé, A.G. Roca, M. P. Morales, C.J. Serna . J. Appl. Phys. 109, 07B524 (2011) .
" Controlling exchange bias in Co-CoOx nanoparticles by oxygen content"
M. Kovylina, M. García del Muro, Z. Konstantinovic, M.Varela, O. Iglesias, A. Labarta, and X. Batlle. Nanotechnology 20, 175702-1/175702-7 (2009) .
" Magnetic domains and surface effects in hollow maghemite nanoparticles "
A. Cabot, A. P. Alivisatos, V. F. Puntes, Ll. Balcells, O. Iglesias and A. Labarta. Phys. Rev. B 79, 094419-1, 094419-7 (2009) .
" Exchange bias in laterally oxidized Au/Co/Au nanopillars"
Appl. Phys. Lett. 94, 062502 (2009) . "Surface anisotropy broadening of the energy barrier distribution in magnetic nanoparticles "
N. Pérez, P. Guardia, A. G. Roca, M. P. Morales, C. J. Serna, O. Iglesias, F. Bartolomé, L. M. García, X. Batlle and A. Labarta. Nanotechnology 19, 475704-1, 475704-8 (2008) . "Exchange bias phenomenology and models of core/shell nanoparticles. Cond-Mat/0607716 (High resolution version) . "Particle size and field cooling dependence of exchange bias in core/shell nanoparticles." J. Phys. D 41, 134010-1 (2008) . "Modelling exchange bias in core/shell nanoparticles." J. Phys: Condens. Matter 19, 406232 (2007) . "Exchange bias and asymmetric hysteresis loops from a microscopic model of core/shell nanoparticles." J. Magn. Magn. Mater. 316, 140-142 (2007) . Presented at 3rd JEMS 2006, San Sebastián (Spain), June 26-30th. "Surfactant effects in monodisperse magnetite nanoparticles of controlled size." J. Magn. Magn. Mater. 316, e756–e759 (2007) . "Monte Carlo simulation study of exchange biased hysteresis loops in nanoparticles." Physica B 372, 247-250 (2006) . Presented at HMMM 2005, Budapest. "Microscopic origin of exchange bias in core/shell nanoparticles." Phys. Rev. B 72, 212401-1/212401-4 (Brief Report) (2005) . "From finite-size and surface effects to glassy behaviour in ferrimagnetic nanoparticles." "Nucleation phenomenon in nanoparticle self-assemblies." International Journal of Nanotechnology 2, 62-70(2005) . Presented at Nanospain 2004, 10-12 March San Sebastián (Spain), 2004. "Influence of surface anisotropy on the hysteresis of magnetic nanoparticles." J. Magn. Magn. Mat. 290-291, 738-741 (2005) . Presented at JEMS 2004, Dresden (Germany), 6-10 September 2004. "Influence of surface anisotropy on the magnetization reversal of nanoparticles." Physica Status Solidi C 1, 3481 (2004) . Presented at 2nd SCM 2004, Seeheim (Germany), 27 June- 1 July 2004. "Magnetic relaxation in a model of interacting naoparticles in terms of microscopic energy barriers ." Physica Status Solidi A 201, 3329 (2004) . "Magnetic relaxation in terms of microscopic energy barriers in a model of dipolar interacting nanoparticles." Phys. Rev. B 70, 144401 (2004) . "Role of surface disorder on the magnetic properties and hysteresis of nanoparticles." Physica B 343, 286-292 (2004) . Presented at HMM 2003, Salamanca (Spain), 28-30 May 2003. "Shape and surface anisotropy effects on the hysteresis of ferrimagnetic nanoparticles." J. Magn. Magn. Mat. 272-276, 685 (2004) . Presented at ICM 2003, Roma, 27 July- 1 August. "Magnetic Structure of Li2CuO2: From ab-initio calculations to macroscopic simulations." Phys. Rev. B 66, 014448 (2002) . "Effects of the magnetic field on the relaxation of small particle systems." Computational Materials Science 25, 577 (2002). "Magnetic Field Scaling of Relaxation curves in Small Particle Systems." J. Appl. Phys. 91, 4409 (2002). "Finite-Size and surface effects in maghemite nanoparticles: Monte Carlo simulations." Phys. Rev. B 63, 184416-1/184416-11 (2001). "Monte Carlo Study of the Finite Size Effects on the Magnetization of Maghemite Small Particles." J. Appl. Phys. 89, 7597 (2001). "Finite size effects in small particle systems." NATO-ASI Series, Kluwer Editors (Series II Vol. 41), (2000). "Magnetic history dependence of metastable states in thin films with dipolar interactions." J. Magn. Magn. Mat 221,149 (2000). "Monte Carlo simulation of the magnetic ordering in thin films with perpendicular anisotropy." J. Magn. Magn. Mat. 196-197, 819 (1999). "Normalization factors for magnetic relaxation of small particle systems in non-zero magnetic field." Phys. Rev. B 55, 8940 (1997). "Energy barrier distributions in magnetic systems from the Tln(t/ t0) scaling." Z. Phys. B 100, 173 (1996). "Tln(t/t0) scaling in small-particle systems: low temperature behaviour." J. Magn. Magn. Mat. 140-144, 399 (1995). "Magnetic relaxation in small particle systems: Tln(t/ t0) scaling." Phys. Rev. B 48, 10240 (1993). "Structural disorder in two-dimensional random magnets: Very thin films of rare earths and transition metals." Phys. Rev. B 47, 11848 (1993). "Non-thermal viscosity in the magnetic relaxation of 2D random magnets." Europhys. Lett. 22, 211 (1993). "Time dependent phenomena at low temperatures in SmCo multilayers: quantum nucleation phenomena." Phys. Lett. A 163, 130 (1992). "Quantum tunneling of domain walls in ferromagnets." Phys. Rev. B 46, 5392 (1992).